Brushing your teeth is one of the most important elements in your mouth hygiene care routine, so choosing the right toothpaste is essential. Cleaning away bacteria and plaque with a quality toothpaste helps prevent tooth decay, gum disease, and bad breath. A typical toothpaste product contains several ingredients that work together to help optimize your oral health. Your choice of toothpaste should reflect your individual needs. The only three brands I use frequently in my entire life is Darlie, Colgate & Sensodyne and that's also because my family is using it. Recently, I've also tried Nu Skin Whitening Toothpaste as well as Gum Alive Mouth Spa Toothpaste. 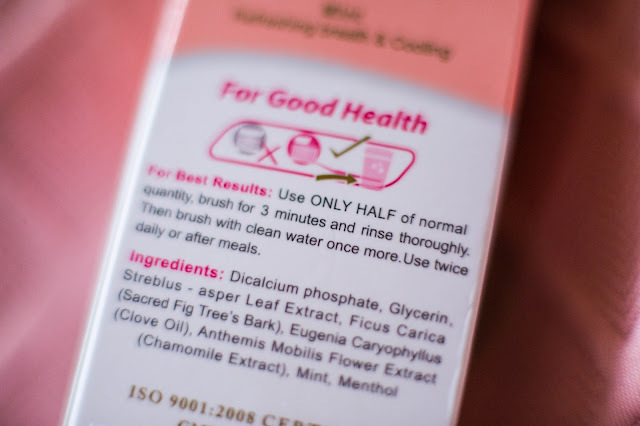 I realized that almost every toothpaste has strong mint which I don't really prefer because it's always suffering when I start brushing my teeth and due to my health problem such as Acid Reflux. I've been learning about the diet for GERD / Gastric Reflux symptoms, however, I still cough or choke every single day brushing my teeth. The cough is actually affected by the mint & chemical ingredient in the toothpaste. FYI, I will write more about GERD awareness soon. 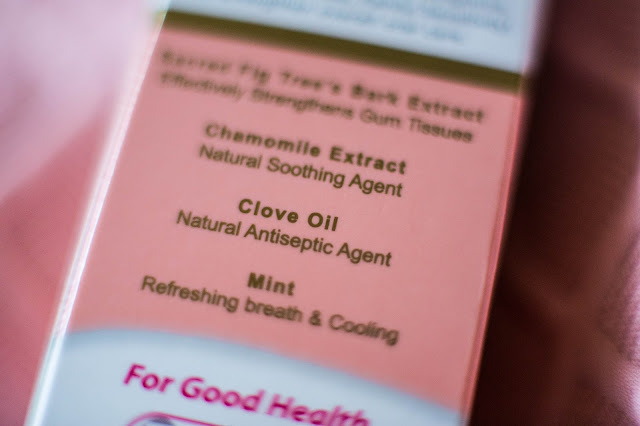 Coming back to the topic, Gum Alive has more Herbal than mint. Although, there's also light fragrance of mint. For people who dislike herbal smell or taste may not adapt fast, however, if you're mutual or love herbal scent this may be something for you. 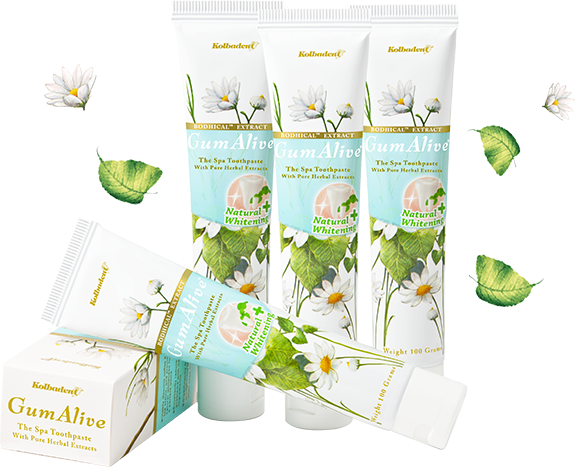 As stated on the packaging, it is Rich in the finest natural ingredients such as Chamomile Extract as well as with the extraction of pure essential oils, the exclusive formula of Gum Alive toothpaste comes in three variants. 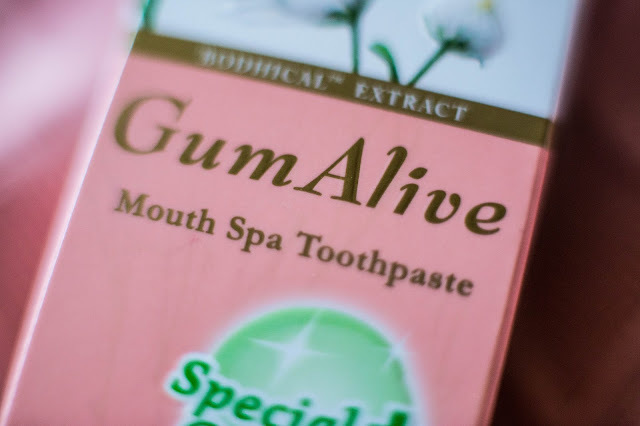 Unlike the other commercial brands in the market, GumAlive’s toothpaste does not contain any harmful chemicals. Manufactured with herbal compounds that do not contain fluoride, sugar or any synthetic substances. My first try feels really comfortable, although the Herbal scent is quite strong. - Effectively reduces pain, sensitivity and bleeding of the gums for an overall better gum health. - Whitens teeth naturally from deep within to keep them looking squeaky clean on the daily. - Keeps your breath smelling fresh & minty all day long. Each tube of GumAlive’s toothpaste is safely packed in an aluminium foil and sealed hygienically to avoid germs at all costs. For an overall better oral health, the toothpaste should be used twice a day. 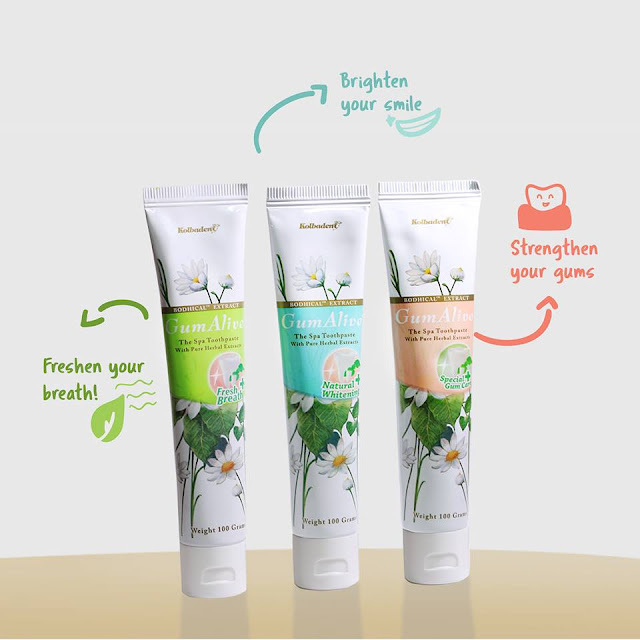 Brushing your teeth twice a day with our toothpaste will not only give you a top-notch oral health, but it allows the natural essential oils in the toothpaste to constantly enhance the function of your teeth. 362 Upper Paya Lebar Road #05-09.